Dutch architectural firm, HofmanDujardin, introduces a revolutionary, life-enhancing urban strategy for the city of Amsterdam. “We live in Amsterdam and we love Amsterdam. 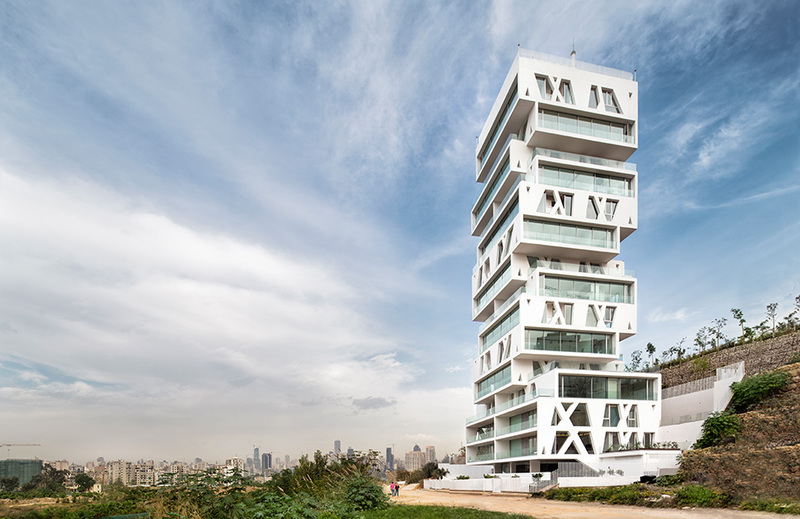 It is a fabulous city, and we want to make it more fabulous,” says Michiel Hofman. 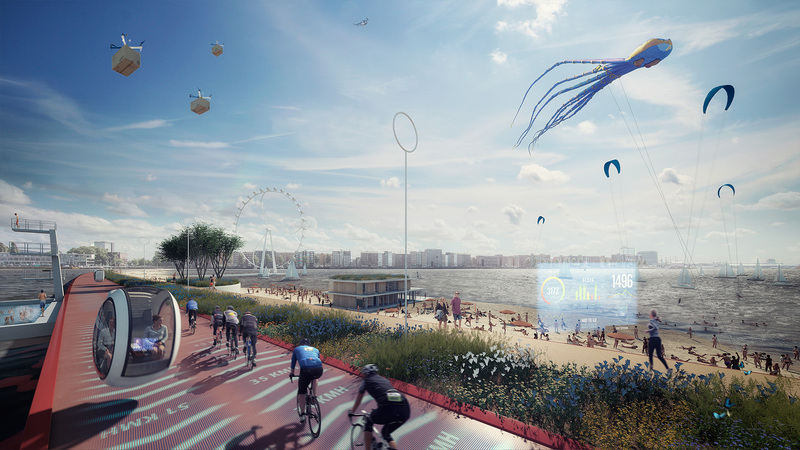 Oamsterdam offers an innovative plan to connect the northern district to the rest of the city. 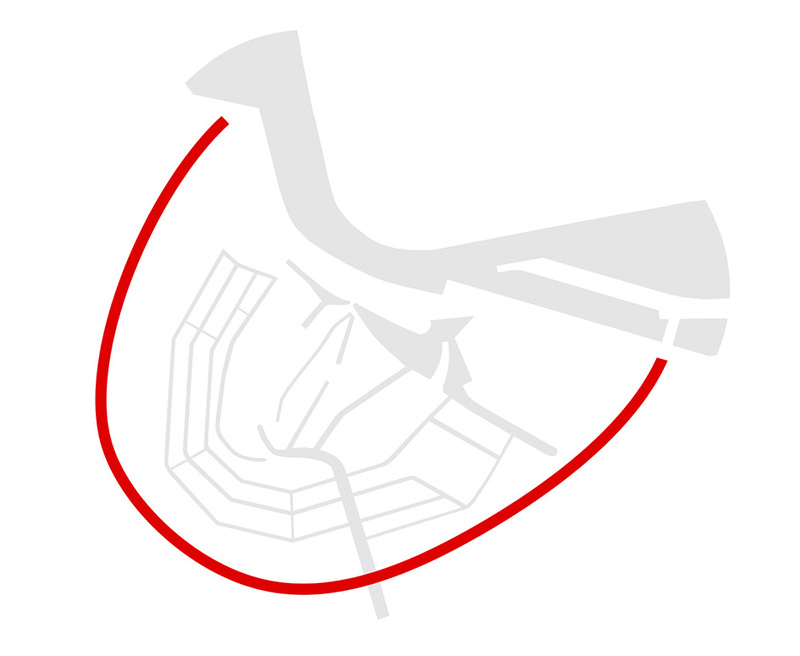 Mirroring the form of the exiting half-circle of the north, we will create a circular path through the city, thus restoring Amsterdam’s historic connection to the water and opening up the IJ waterfront. The inner ring will be a vital new connection uniting areas of the city, bringing space and air to the historic, crowded centre. Amsterdam needs to be innovative in its urban strategy today, just as it was in the past when it pioneered its historic, circular canal system. Today, Amsterdam is struggling with a vast number of visitors to its densely populated, historic city-centre. Tourism is taking its toll on the city. The streets and squares are overcrowded, traffic is dense and the price of housing exceeds national standards. At the same time, the city council has high ambitions for quality public spaces, affordable housing, smart mobility, interactive resources and the creation of a green and healthy environment for its inhabitants. Amsterdam is embracing ideas to enlarge the city-centre and initiatives to make it into a truly innovative city, ready for the future. 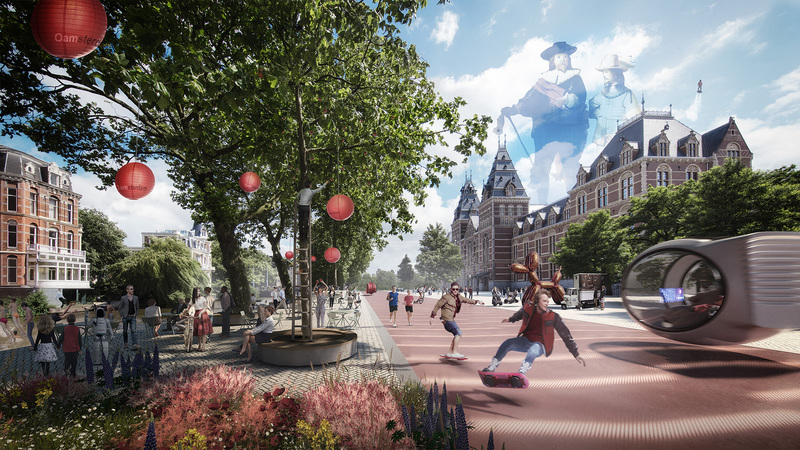 In alignment with these goals, HofmanDujardin introduces a revolutionary, life-enhancing urban strategy, Oamsterdam. It creates a circular, 16-kilometer circumference, bustling new city-centre for Amsterdam. 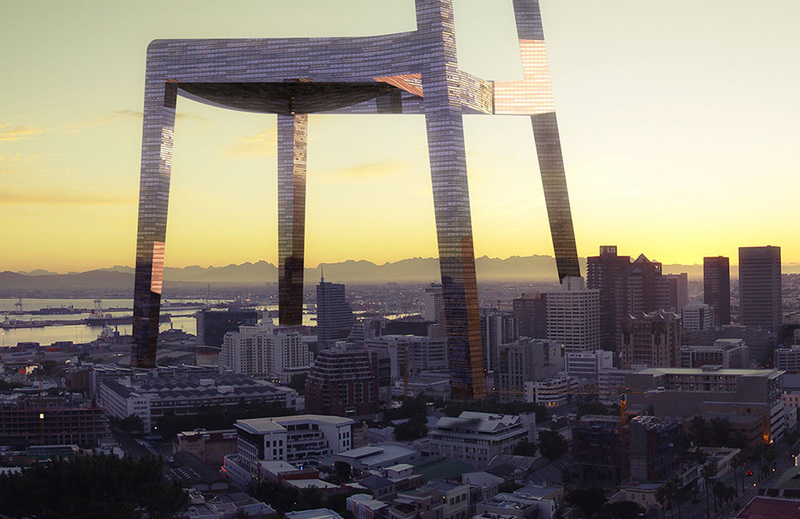 The new ring is a total rethinking of the city. The redevelopment of the city’s inner ring will create fantastic new areas throughout the whole city. The redevelopment extends from all adjacent open spaces; from repurposed buildings to two new bridges over the Ij. 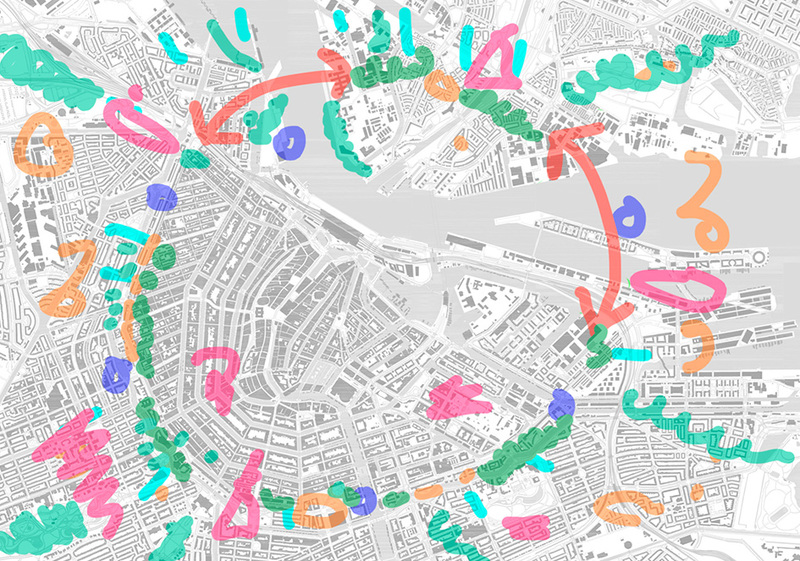 By connecting the northern part of the city, decentralizing the city-centre and activating the ring now used solely by cars, Oamsterdam lays out a masterplan that encompasses all of the difficulties the city is facing and addresses its functional ambitions for the future. 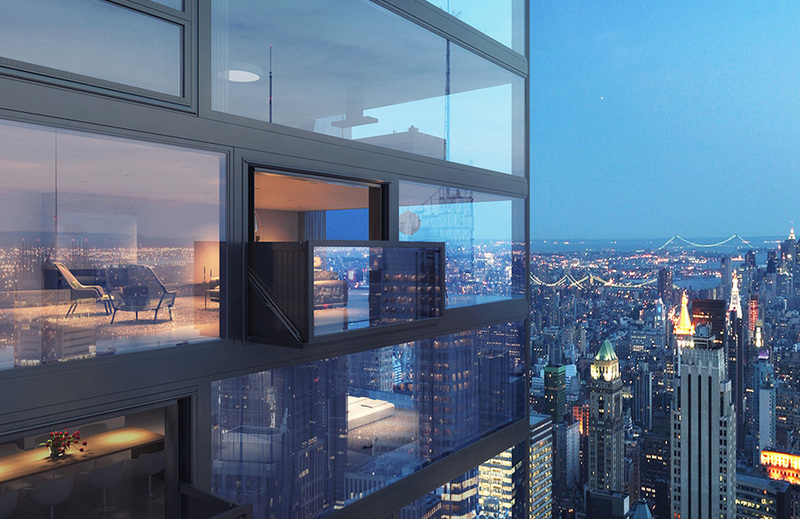 Oamsterdam will accommodate valuable programmatic additions to the city. 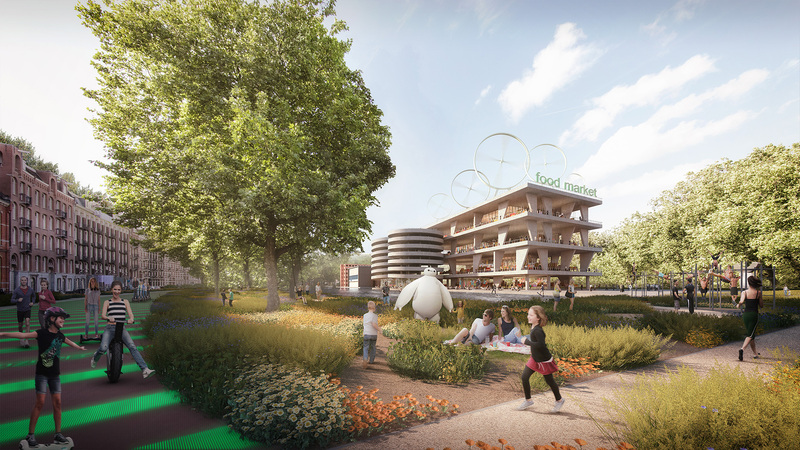 HofmanDujardin envisions a natural park along the road and canals, a new food market in a current parking lot, urban farming in a former bank building, various sports facilities along the new ring and a city beach at the IJ waterfront. 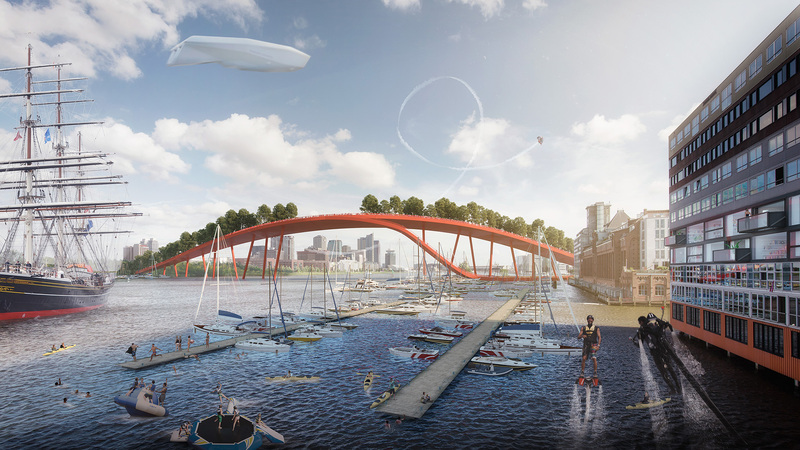 Further into the future, the city may have air ships, silent floating cars and delivery drones. Holograms will surround us and the streets will be a multimedia surface with interactive features. Oamsterdam will be ready to accommodate these innovations. Mirroring the form of the exiting half-circle of the north, we will create a circular path through the city, thus restoring Amsterdam’s historic connection to the water and opening up the IJ waterfront. 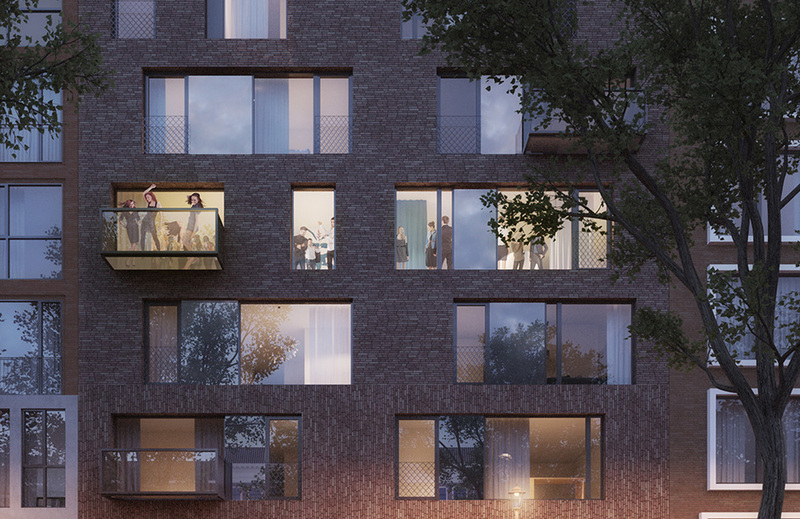 Oamsterdam will create new connections within the urban fabric, leading to a larger city-centre. The bridges, already under discussion, will be rooted in a larger plan for the city. 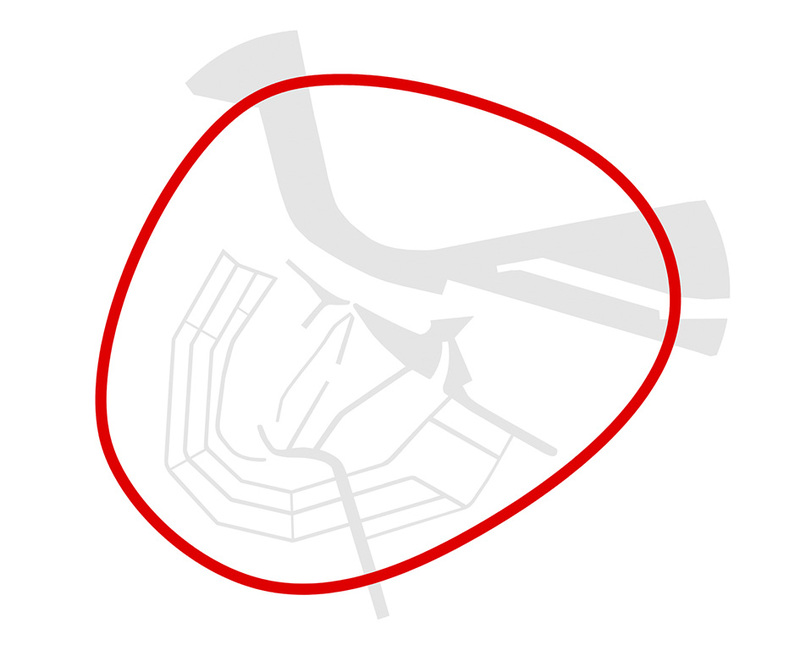 At a practical level, the ring will connect the existing cultural, creative, financial and historical areas of the city. 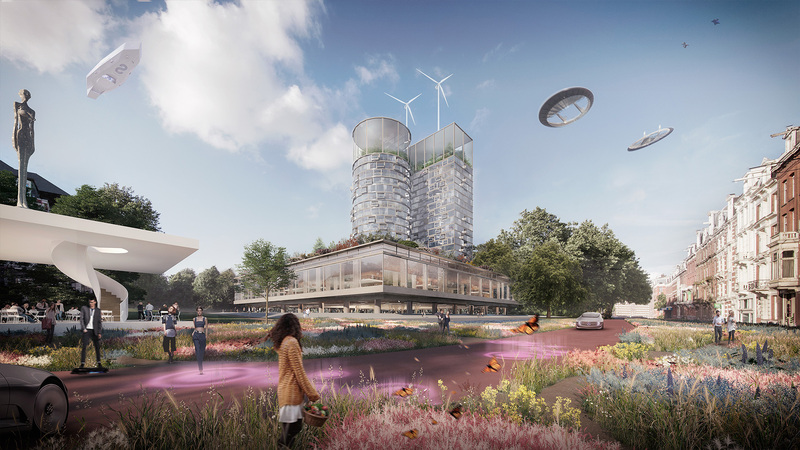 Presenting Oamsterdam as an urban strategy for Amsterdam, HofmanDujardin expects to enter the discussion of how we see the future of Amsterdam—a fabulous Amsterdam.